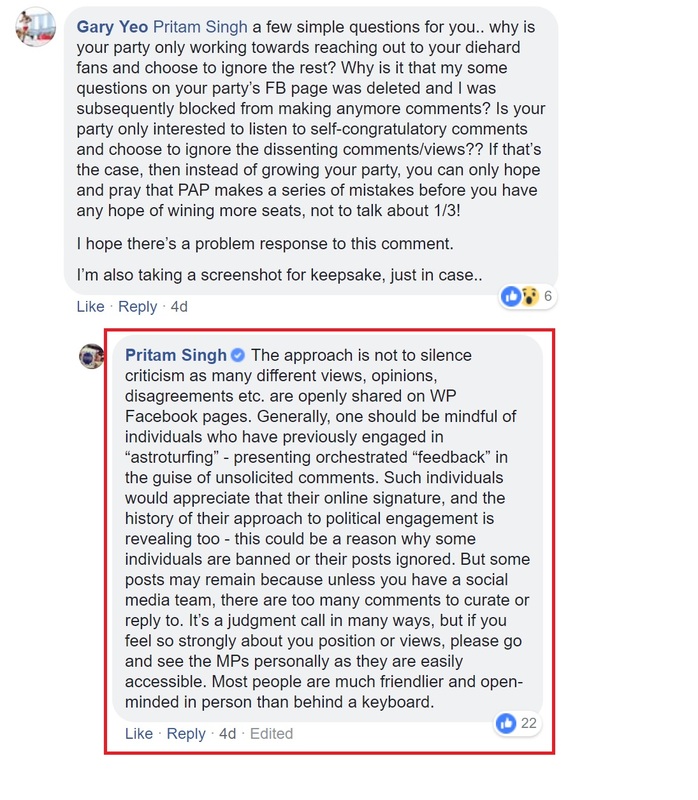 Pritam Singh’s Sarcastic Reply To Commenter Who Asked Why His Comments Were Deleted On WP FB – Sinking It In! FB user “Gary Yeo” (Yeo) commented on Pritam Singh’s FB, asking the latter why his comments were deleted from WP FB and why he was subsequently blocked from commenting. Yeo criticised WP for engaging only its supporters and deliberately ignoring others who are not pro-WP. Pritam Singh replied to Yeo in a high-handed manner, insinuating that Yeo was astro-turfing and hence had his comments deleted. Pritam even told Yeo that if he has such strong views he can go see the MPs who are easily accessible. As a parting shot, Pritam alluded to Yeo being a keyboard warrior. It seems like WP is engaging in what opposition supporters often accuse the PAP of. Pot calling the kettle black indeed.